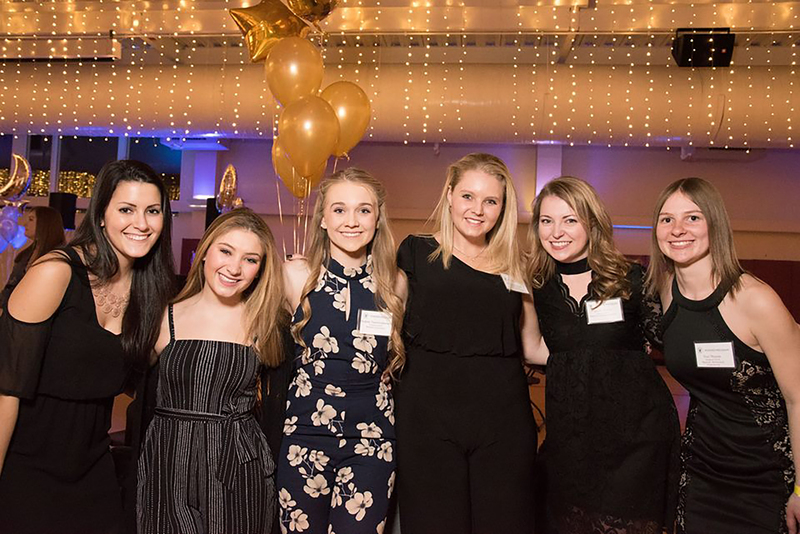 The Merrimack Honors Program started a new tradition this year with the Honors Winter Soirée, which took place on Feb. 9. This event gathered Honors students faculty members, alumni, and administrators for a night of dinner and dancing in the MPR. Due to the success of this event, the Honors Program hopes to continue this tradition every February with a goal to get even more alumni and students to attend. Katie Clark, sophomore, attended the special evening, recalling, “It was a great way to bring the Honors community together – a good way to start a new tradition.” This was the theme throughout the entire evening; everyone felt the community aspect during all courses of the night. Being able to catch up with old friends from freshman year, meeting alumni, and talking to professors about the Honors classes they are teaching was an excellent way to bring everyone in the Honors community together as one. Attendees felt the night was definitely one to remember, so hopefully Merrimack sees many more Honors Soirées in the future.